Here's my 'Anything Goes' creation, I have to admit to cheating a little as this card wasn't made specifically for this month's challenge. A group of us Pootler's got together in Manchester last weekend for a training event hosted by the fabulously talented Sam Hammond (yes, Pootles herself!!) and this was one of the make and takes from there. 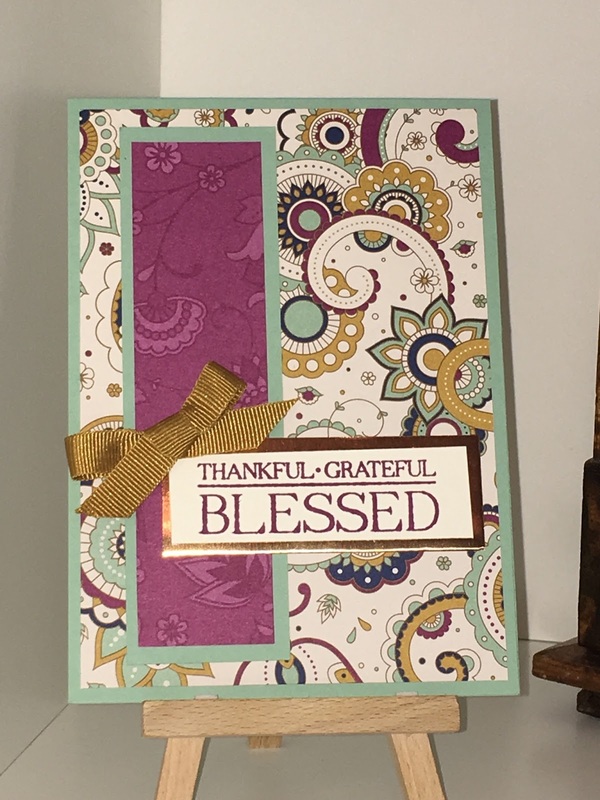 This card was made using the Petals and Paisleys suite of products incorporating Mint Macaron, Delightful Dijon and Rich Razzleberry, three colours that I wouldn't have thought to put together but I'm sure you'll agree, look amazing. There's even a little brand new copper foil on there. 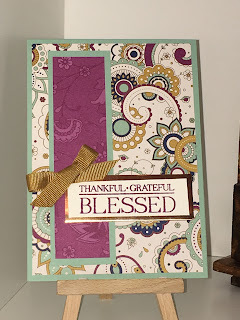 Thanks for stopping by....click 'next blog' to hop on over to see what fab creation Helen is showcasing, or if you're a rebel and are hopping backwards, 'previous blog' will take you over to the talented Angelina.